While certain transmission problems will reveal themselves as you are driving down the road, others may only appear when your vehicle is in neutral. If your vehicle emits a strange bumping or clunking sound when it is in neutral, this is a signal that you need to schedule immediate transmission services in Sacramento . A technician that offers professional transmission repairs will know precisely how to fix your car’s transmission problem. Transmission issues that arise in neutral can be caused by a few common maintenance problems. One of the most common reasons for bumps and bangs in a natural position is low transmission fluid. If you have been neglecting a transmission fluid flush, ask your mechanic to check and refill your transmission’s fluid reservoir. If replacing your transmission fluid does not remedy the issue, you may need mechanical repairs for your vehicle. Neglecting to replace worn-out bearings or damaged gears could ultimately cause your transmission to fail completely. 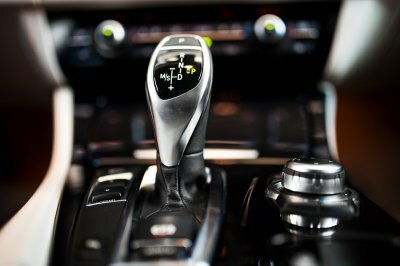 Your car’s transmission contains many sophisticated parts that must work in synchronicity to power your vehicle forwards. When your vehicle starts to experience transmission problems, the issue could be the result of a failing transmission position sensor. Using specialized diagnostic tools, a transmission repair specialist in Sacramento can pinpoint the source of your vehicle’s transmission problems. To help you figure out what is going wrong with your transmission system, here is a look at the common signs of a failing transmission position sensor. Car fails to move out of park. When your vehicle is unable to shift out of neutral or park, this is a clear indication that there is a serious problem somewhere in the transition system. A failing transmission position sensor may no longer send the right signals to the Powertrain Control Module, or PCM. Without signals from the position sensor, the PCM will no longer know when to shift the transmission’s gears out of park into a moving gear. Transmission shifts into the wrong gear. The transmission position sensor and PCM work together to allow the automatic transmission to choose the right gear for various speeds of travel and driving conditions. 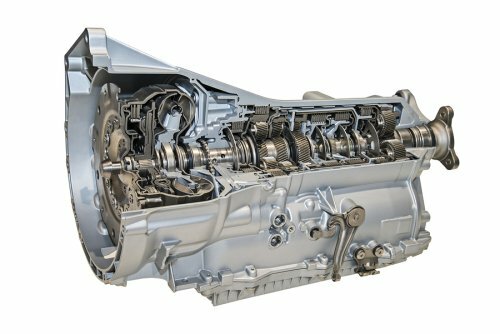 When your transmission shifts into the wrong gear, you may notice that your engine seems to stall out or rev unexpectedly. If your transmission is continually mismatching its gear selection and gear ratios, you may want to ask your mechanic to check on the condition of your transmission position sensor. Vehicle becomes locked in a single gear. 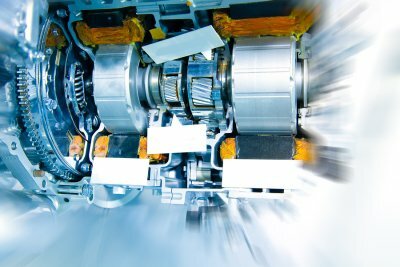 Many modern vehicles are equipped with failsafe devices, which prevent the transmission from shifting gears if a mechanical or electrical problem is detected. If your transmission position sensor is failing, your transmission may become locked in an unchanging gear. This condition is known as limp mode, and a car that has gone into limp mode is suffering from severe transmission issues. Fortunately, your mechanic will be able to restore your transmission position sensor to proper working condition and return your transmission to full functionality. 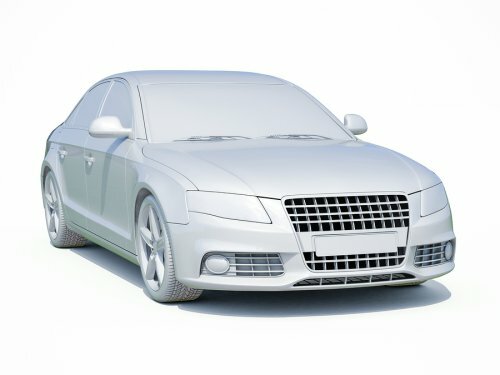 As your car increases its mileage, its engine will experience natural wear and tear. While some engine repair problems are minor, other engine issues require immediate service from an engine repair specialist. If your check engine light is illuminated, or you are experiencing other unusual symptoms, do not wait to set up engine repair in Sacramento . Your auto technician can get to the root of what is causing your engine problems, and he will be able to get your car safely back on the road. To help you figure out what is going wrong with your vehicle, here are some signs that your engine is losing power. You are pressing harder on the accelerator. As you get to know your car’s typical performance dynamics, you will be able to figure out how much pressure is required on the accelerator to achieve certain speeds. If you feel like you are flooring the accelerator pedal, but your car’s engine is failing to respond, you may be facing a fuel line issue. Your tailpipe is emitting strange smoke. Many engine problems can be diagnosed by examining the type of smoke that is coming out of the exhaust system. Depending on the source of your engine problems, you may notice black or blue smoke billowing out of your tailpipe. 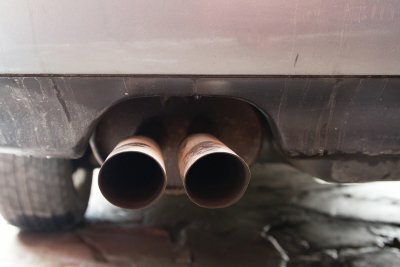 When your tailpipe emits black smoke, this problem may be accompanied by an engine backfire. At the first sign of strange smoke coming from your engine, make an appointment at the auto repair center right away. Your engine idles more roughly than usual. A fully powered engine that is in good mechanical shape should be smooth and quiet as it is idling. Extremely rough idling could indicate a problem in your spark plugs, cylinders, or fuel filters. No matter the source of your rough idle, any unusual engine sensations are good indicators that your engine is starting to lose power. A qualified mechanic can repair the problem and restore your engine to full functionality. As drivers, we may be tempted to take our ignition systems for granted. In this video, you will review the basics of how ignition systems work. Whenever you turn the key in your ignition, a signal is sent to your battery. As the battery is switched on, it will activate your engine, transmission, and other critical vehicle components. If you are experiencing ignition problems, an auto mechanic in Sacramento can repair the issue. When you drive a luxurious German auto, you should treat your vehicle with the utmost care. A shop that specializes in German automotive repair services will offer the specialized services and certified parts that are needed to fix your European vehicle. Without a working battery, your car will refuse to start. Along with causing starting issues, low battery power can lead to troubles in the many electrical systems of your vehicle. An auto shop that offers Mercedes service in Sacramento can get to the bottom of your battery life problems. 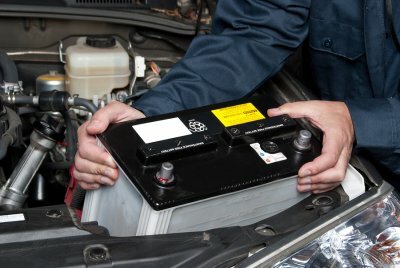 After you have received battery repair services from your local auto shop, you will want to be on the lookout for signs that your battery is being drained prematurely. Let’s review three of the most common causes of battery drain in today’s vehicles. Most drivers accidentally leave the lights on in their cars at one point or another. Even if your car is equipped with a system that turns off your headlights automatically, your interior lights or trunk lights can also be left on overnight. By leaving your lights on for several hours, you may wind up with a completely drained battery by the time you go to start up your car. To prevent your battery from dying, always remember to shut off all of your car’s lights before you head into your house for the night. Certain electrical components, such as your radio and alarm systems, need to be supplied with a small amount of electricity at all times. However, if any of these systems are experiencing electrical problems, they may start to drain your battery excessively. A certified mechanic can troubleshoot your vehicle’s electrical systems and determine whether they are creating a parasitic drain on your battery. In order for your battery to recharge with power, it must be supplied with fresh charge from your car’s alternator. If your alternator is experiencing troubles, however, the diode may not be able to deliver enough current to recharge your battery. When you notice the signs and symptoms of alternator issues, such as flickering headlights, do not hesitate to schedule a diagnostic appointment with your mechanic. By repairing your alternator, you will be able to safeguard your battery against excessive drain. Your Mercedes-Benz is equipped with sophisticated components that should always be replaced by a car repair professional. This video from Car and Driver Magazine will show you how your Mercedes service mechanic will change your car’s headlight bulb. After removing the housing, your mechanic will carefully insert the new headlight into place. An auto shop in Sacramento will have the special replacement parts that are needed for use in your luxury Mercedes-Benz vehicle. If your headlight or taillight has recently gone out, now is the time to schedule car repair services. Your mechanic can quickly replace your broken bulb and restore your car to safe driving condition in no time. Why is it Important to Keep Up with Tire Maintenance? Tires are the only contact point we have with the road, as they are the key to propelling and stopping your car. We rely on that small patch of rubber that is at each of the four corners of the car, to keep us on the road. It is important that we make sure that they are the proper tires, inflated, in good condition, wearing properly, and not too old. Car manufacturers choose specific tires to be fitted on their cars. They take into consideration what the vehicle was built for, its maximum performance, and weight loads. After determining these factors, they choose a tire that best fits the car’s needs. It is important to have these same considerations when we replace our tires. Choosing the wrong tire can have severe consequences. In the 1990’s, there were many cases where the manufacturer made the wrong tire choice leading to people losing their lives. It is crucial to go to a tire professional to help pick the right tires for your vehicle. Tire inflation is important for three reasons, handling, comfort, and fuel efficiency. Automotive manufactures have recommended tire inflation posted for your vehicle. The recommendations are based on the optimal pressure for two reasons. The higher the tire pressure, there is less rolling resistance, higher fuel efficiency, a rougher ride, and less traction. On the other hand, the lower the pressure, the better the traction, smoother ride, but there is poor fuel economy, and poor wear. They believe there should be a balance of good fuel economy, smooth ride, and ideal handling. Manufacturers usually put a sticker with pressures near VIN. label at B pillar or on the fuel door. There is a choice for a fully loaded or partially loaded car. Choose the inflation that best suits your needs. To keep up with your tire’s wear, look for four things. Look for how deep is the thread, your vehicle’s alignment, tire balance, and damage. Thread is what the tire manufactures use to move water from under your tire. Without it a tire would hydroplane and slide all over the road. Minimum thread depth on a standard road car is 3/32 of an inch. That is the minimum depth you want to see anywhere on the tire. One part of the tire may show considerably more, but it could be down to the steel belts elsewhere. It is important when checking a tire, you check the full width of the tire. The easiest way to measure the full width is to use a penny. Take a penny place it on edge with Lincoln’s head pointing in towards the tire. If the top of President Lincoln’s head is visible, then your tire is worn. All four tires should be examined and make sure to sample the complete circumference of the tire. Uneven tread wear is usually a sign of an alignment problem. Alignment is how we keep your vehicle tracking straight. If a tire is worn more on the inside or outside edge, it could mean your alignment is out of adjustment. Sports cars tend to have aggressive alignments and excessive wear in one part of the tire is to be expected. Sports car manufactures use alignment to allow their cars to handle better at higher speeds and side loads. The compromise of this is premature tire wear, usually on the inside edge. You may see a near perfect outer thread pattern and a severely worn inner one. Therefore, it is important to always check the full width of the tires. If a tire is not properly balanced, the result will be a vibration that can be felt through the car or steering. Usually it’s a 5 mph range that you feel the vibration (e.g. 65 mph to 70 mph). This is commonly mistaken as an alignment problem. If not properly addressed, this can lead to scalloping of the tread and noisy tires. Make it a semi-regular practice to check your tires for damage. Damage can come in the form of punctures (nails, screws, glass, rocks, etc. ), sidewall damage from curbs, or bubbles. Bubbles occur when your tire begins to delaminate. Your tires are constructed of numerous plies of rubber and steel wire. Delamination is usually caused by an impact such potholes, running over bumps, or objects in the road, that causes the belts of the tire to tear, or age (which we will discuss in greater detail in the next section). At that point, the belts are compromised and can no longer hold its shape. An air pocket will form between belts and rubber tread, which may also be felt as a vibration. Tire Age: How Old is too Old? Two frequently asked questions, are how can you tell how old a tire is and what’s wrong with an old tire. Tires have “Born On Dates” which are production dates. They usually appear in an oval on the sidewall and consist of 4 numbers such as 1508. The first pair of numbers is the week in which the tire was made and the second pair is the year. For the number 1508 stands for the 15th week of 2008 or April 7-13, 2008. When buying new tires, it is a good idea to find out what is the production date of the tires you are buying, so you have a record of when your tires were produced. Tire manufactures and vehicle manufactures opinions vary on how old is too old. Six to eight years is a good timeframe to consider replacing your tires, despite how much tread is left on them. Contributing factors of tires aging are heat and humidity. As they age, tires will begin to break down and delaminate. Inspect your tires to see if you can see cracks in the sidewall, check the born on date, and most importantly, have a tire professional inspect your tires, and follow their recommendations. Tire maintenance is important on many levels, as it is the only contact the vehicle has with the road. Efficiency and proper inflation can increase your fuel mileage. 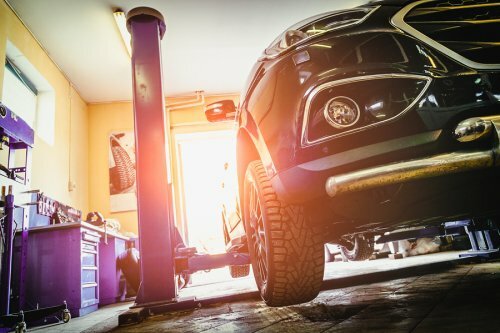 It is economically efficient to make sure your tires are properly inflated, balanced, and suspension aligned can extend the life of your tire. Most importantly if there is ever a question about your tires, ask a qualified tire expert to help you make the proper decisions. So much is riding on four little rubber contact patches and you should make the right choices. While an automotive collision may cause visible damage to your car body, it can also cause problems under the hood. After you experience an accident while driving your car, do not hesitate to visit Frank’s Automotive for engine repair near Sacramento. Even if you are not aware of engine issues after an accident, your car may be suffering from serious and lingering issues that will cause further problems in the future. When you bring your car to Frank’s Automotive for engine repair, we will start your appointment with a comprehensive diagnostic service. If your check engine light is illuminated, we can use our equipment to obtain your computer’s trouble code. Using our certified parts and tools, our team of mechanics will be able to repair any engine damage that was caused by your collision. We will make sure that you drive out of our repair shop with total confidence in the performance and safety of your vehicle.